How do you convince your visitors to take the plunge on your website? There are a lot of elements that a great landing page needs. Whether your goal is to generate leads, sell products, or collect data, your landing pages are where the action happens. Landing pages are an essential component of any well-crafted, effective inbound marketing strategy. 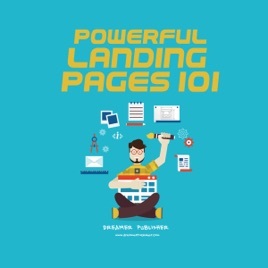 This audiobook will provide you everything you need to know about landing pages so you can start boosting your site conversion today. Let’s go!